The vendor will show Avizia Connect, a software add-on designed to work make initiating a video consultation easier. 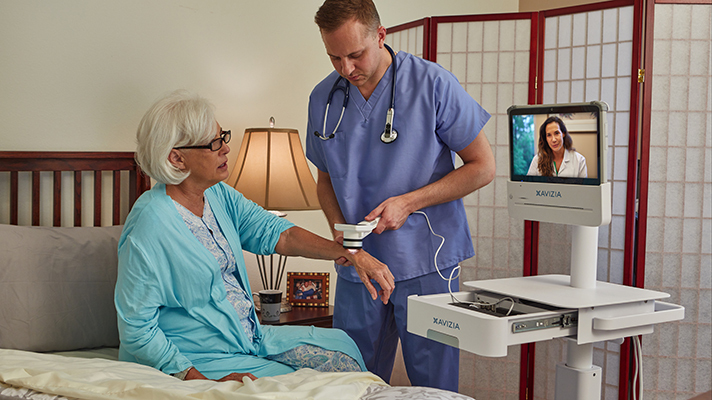 Telehealth technologies can connect patients and providers across miles, but some wrinkles still persist. Healthcare systems’ telemedicine devices often come in a slew of different makes and models, and a physician’s standard workflow can introduce a myriad of delays throughout the connection process. At this year’s HIMSS18 conference in Las Vegas, telehealth platform provider Avizia said that it will be showing off a new module designed to streamline the connection process, allowing providers to connect with far-away patients or colleagues quicker and more easily than before. The Avizia Connect module is a software add-on that is now available to anyone using the company’s telehealth platform. Designed to accommodate the company’s various hardware offerings as well as the health care system’s EHRs, the company claims that the module will cut down the hassles of initiating a video consultation. Fritcher said that the new module will be showcased alongside a handful of other updates the company has made to its platform to better enable teleconsultations. Avizia will be in Booth 2869.